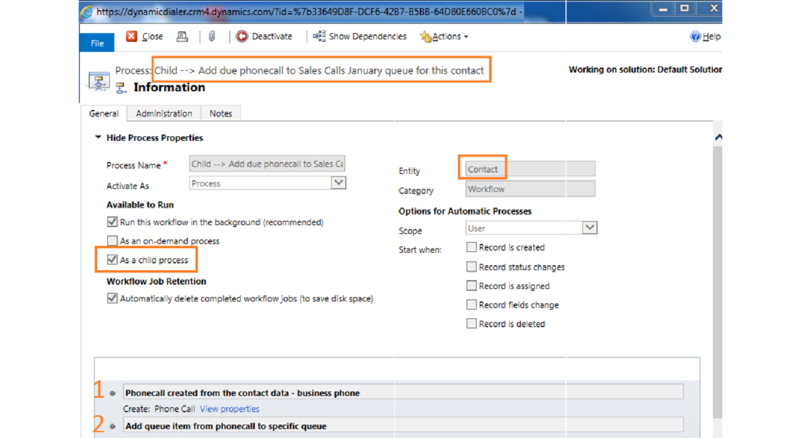 To call a customer from an Opportunity Form means you have to open the associated Contact and make the call from there. 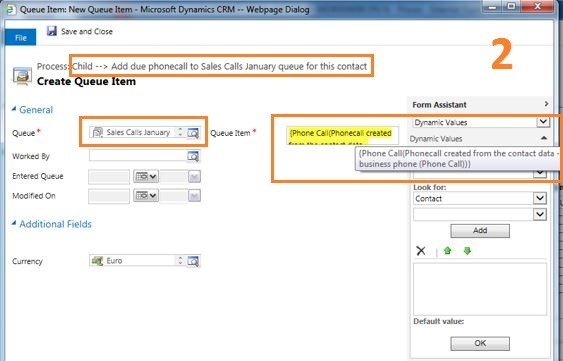 This also means that the phonecall record created in CRM is associated with the Contact in general, rather than the specific Opportunity. 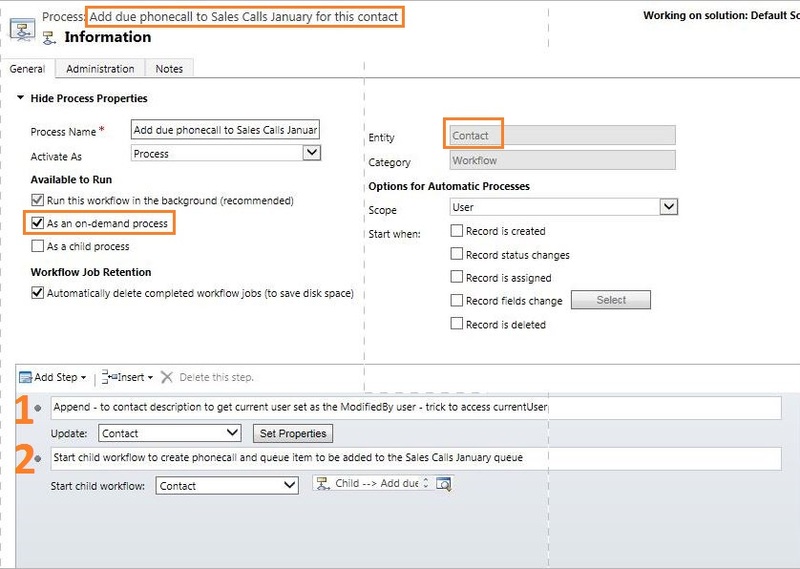 Follow this procedure to add Phone Number fields to your Opportunity form. 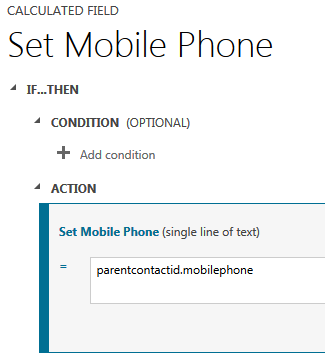 In summary, the process is to add a calculated, custom field (of format “Phone”) to the Opportunity form. Well, might not be 10 yet, but will be as soon as I can get around to completing this post. 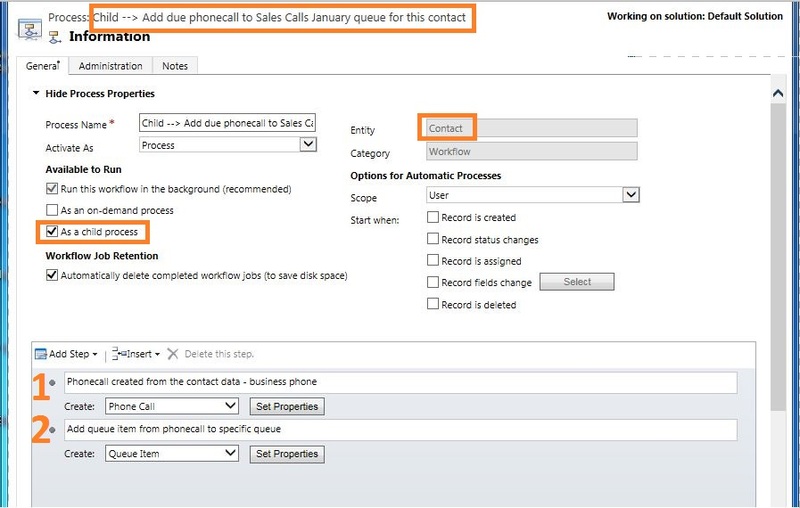 You can add for one agent to process (Personal CRM Queues) or(for multiple agents to process (Shared or Team CRM Queues). 3. Select the queue you made in A above. – You just need to fill in “Subject”. Now go “Ready” in DT and the items should come through. Of course, there may well be other items in other queues first so test with care. 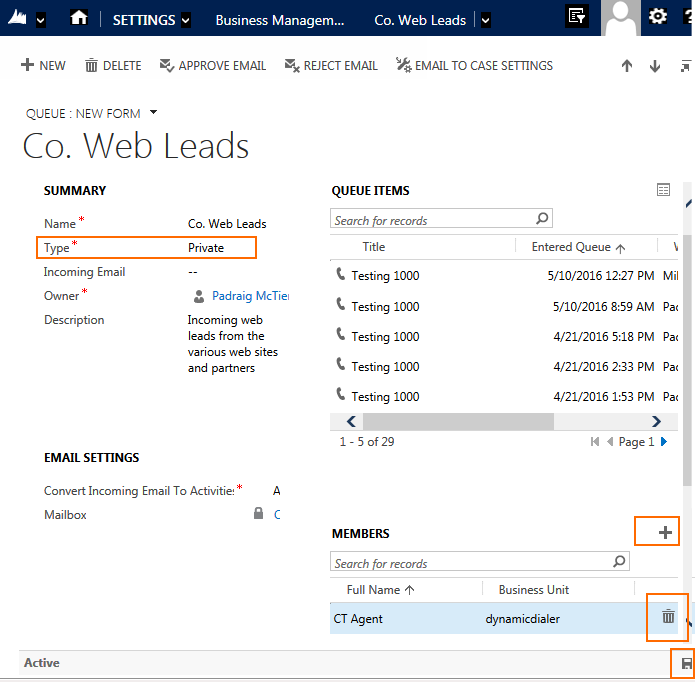 This workflow will be available to a lead, or set of selected leads. 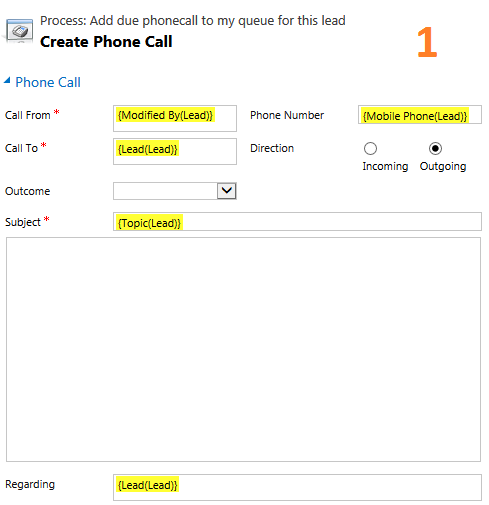 It will create a phonecall for each lead and put it in your personal queue. 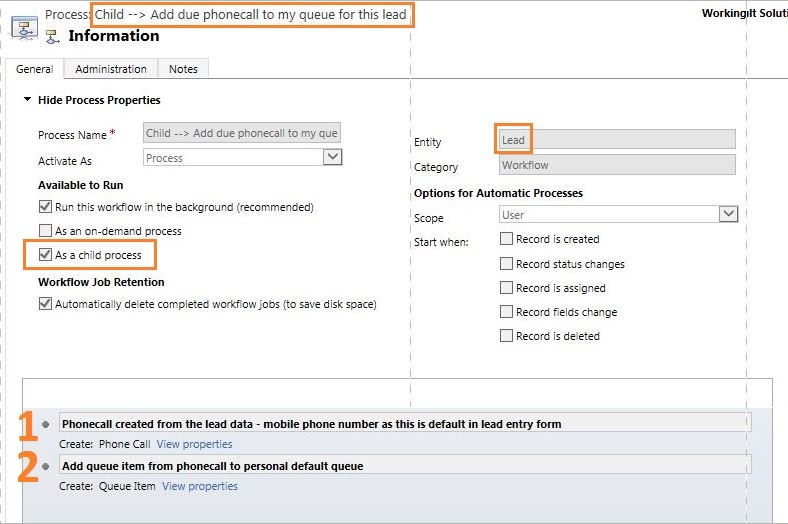 Now, with Dynamics Telephony Queues enabled, you can process each lead using the progressive dialer. 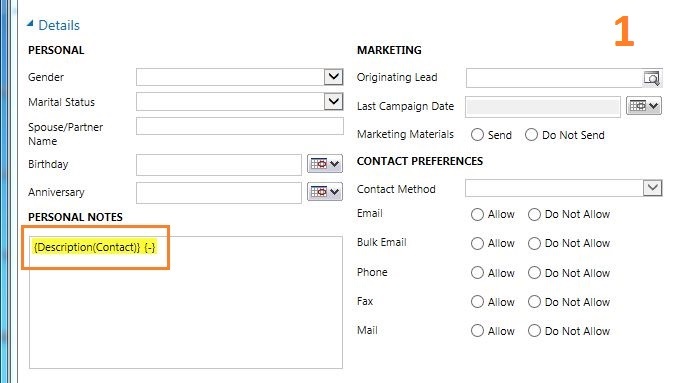 Filter down to the leads you want to add to progressive dialing. 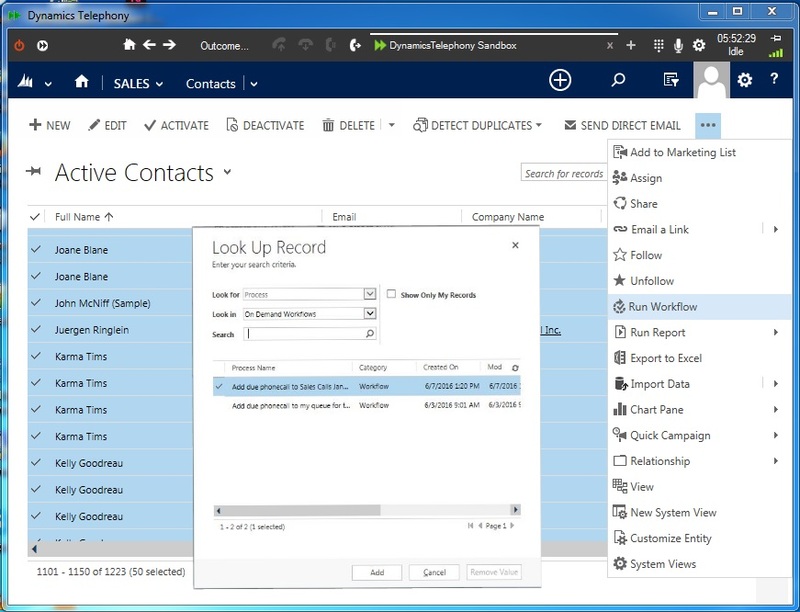 Select all and run the workflow per this screen shot. Next, make the selections needed in order to get the desired results. 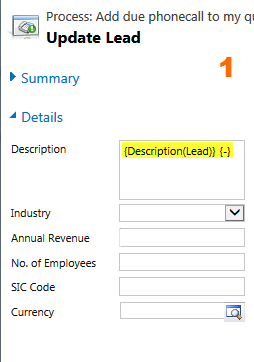 In this case, the search is for Leads that have an Address 1: County which Contains the text Tipp. 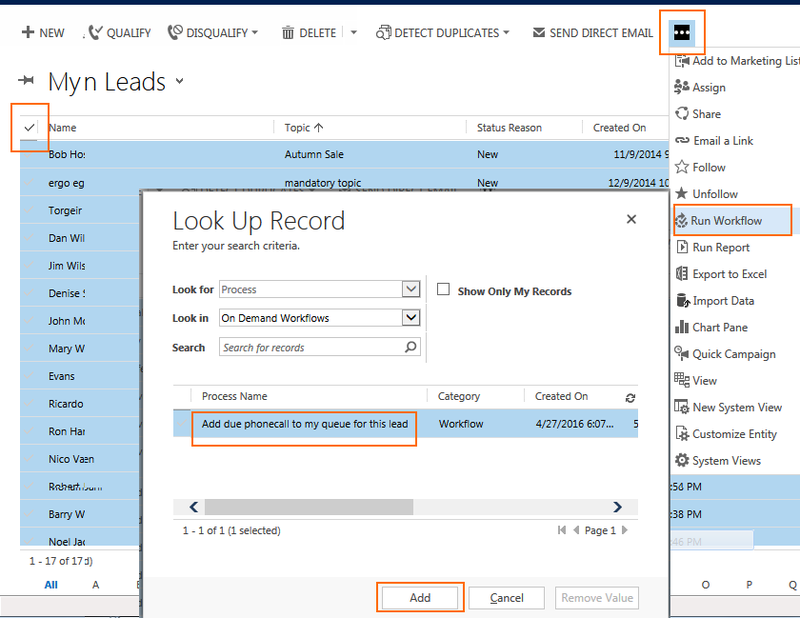 Click Results to bring back all the leads which fit the search, then run the workflow. 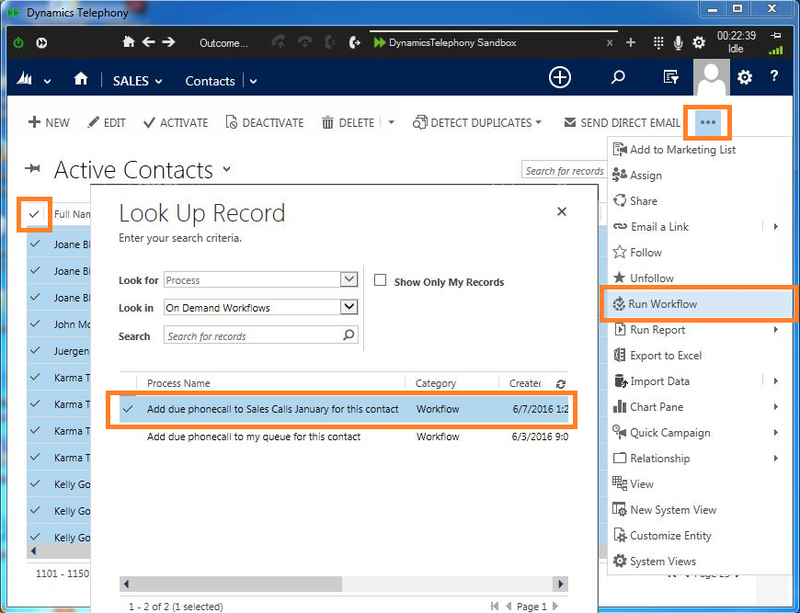 Create a new workflow as per the screenshot below. 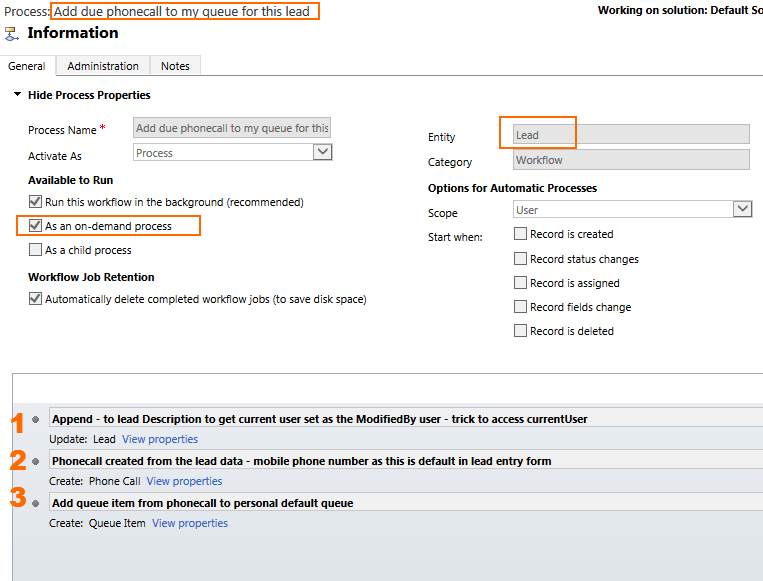 This workflow is on-demand and uses entity lead. 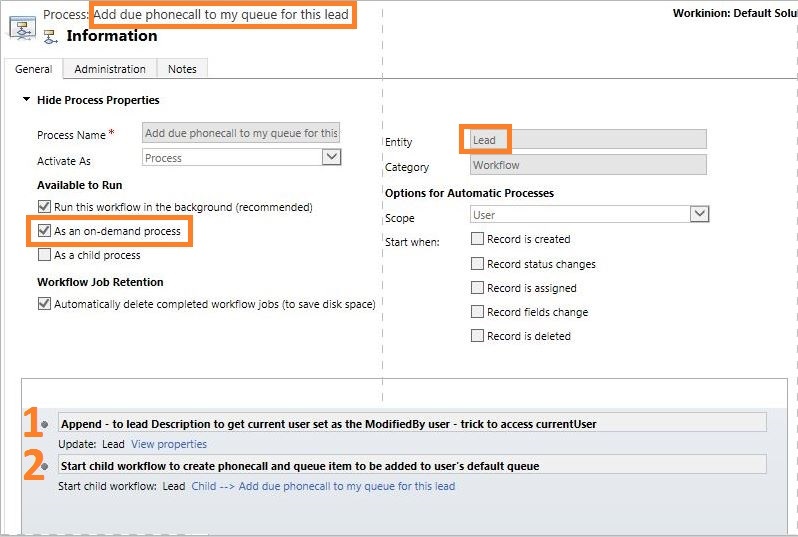 Step 1 is to update the lead so the “Modified By” user gets set to the current user. In this way, the next step can get the current user. This is a well known trick to access the current user. Step 2 is Start Child Workflow. 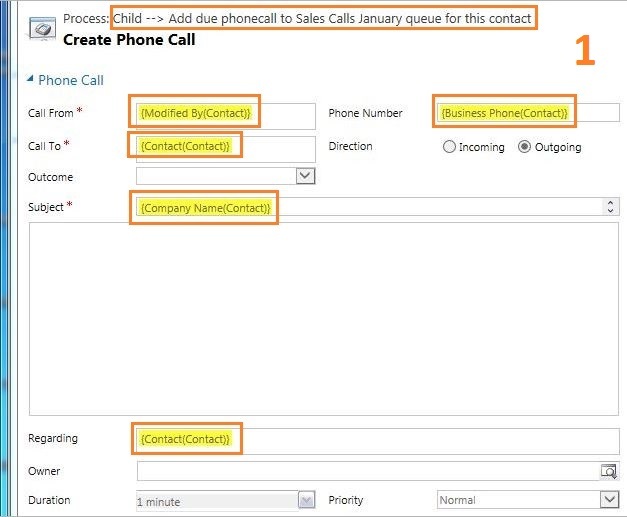 Select Lead from the dropdown to see the child processes on a lead entity. 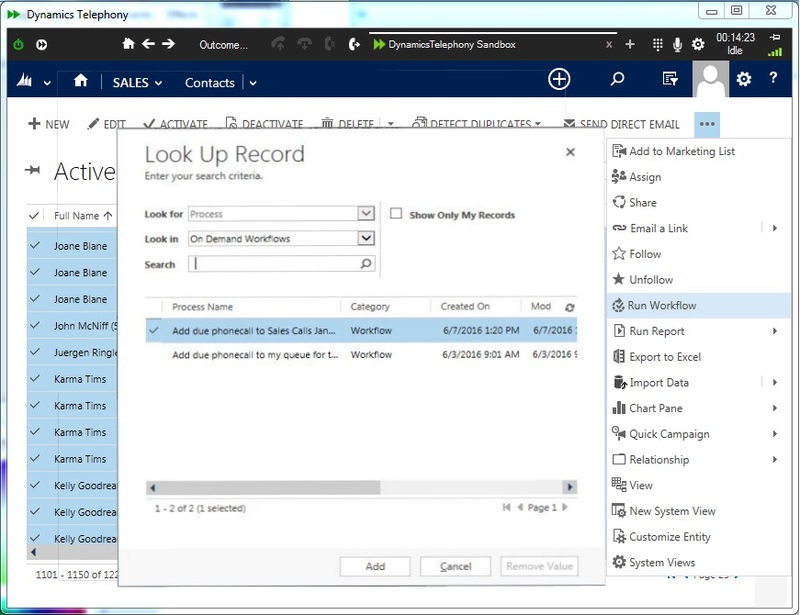 Then select the child process for the next selection by clicking the lookup.